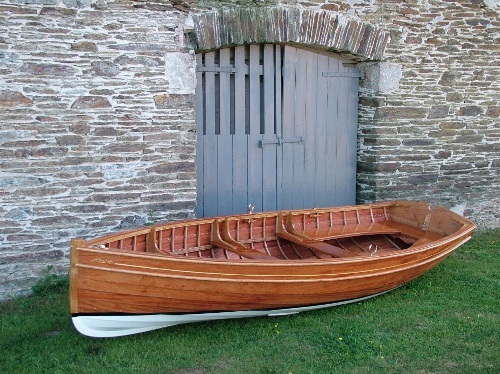 Proudly made in England, the wooden clinker collection displays a 9ft & 12ft Rowing Dinghy, and a 12ft Sailing Dinghy. 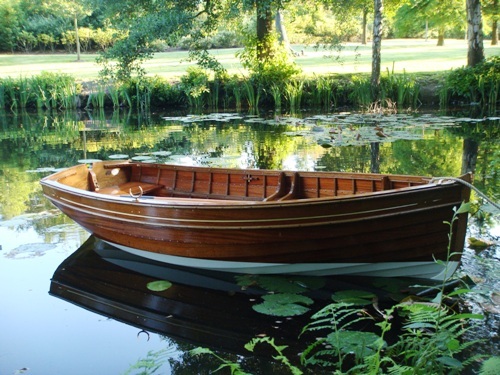 These are beautiful examples of some of the finest hand-crafted wooden boats available. 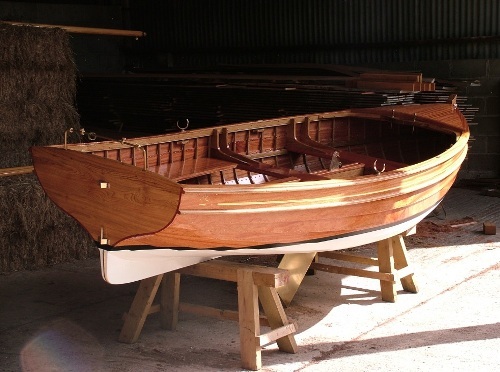 Built of Mahogany on Oak, they come with a pair of spoon oars or sweeps, a pair of bronze rowlocks, a brass ringbolt in stem and sternpost, a brass keelband and brass bilge rubbing bands, Mahogany capping rails and fitted sole boards. 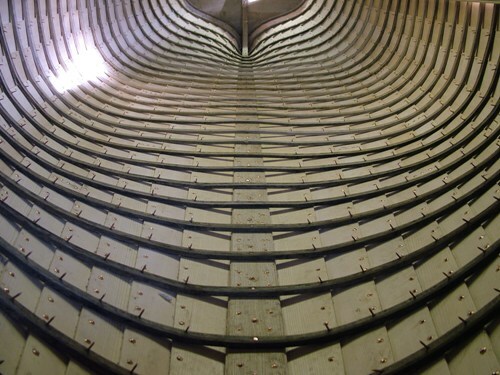 Built to order with additional u-shape stern seating. 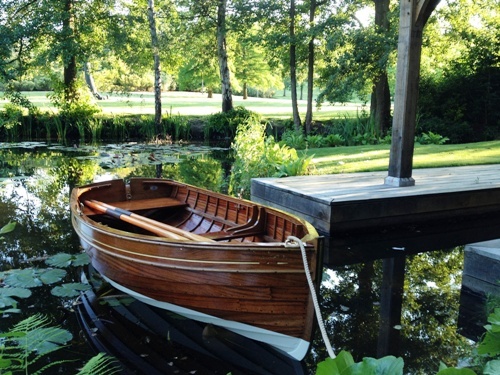 This Traditional Wooden 9ft Clinker Rowing boat was especially built for a customer to grace their lake. 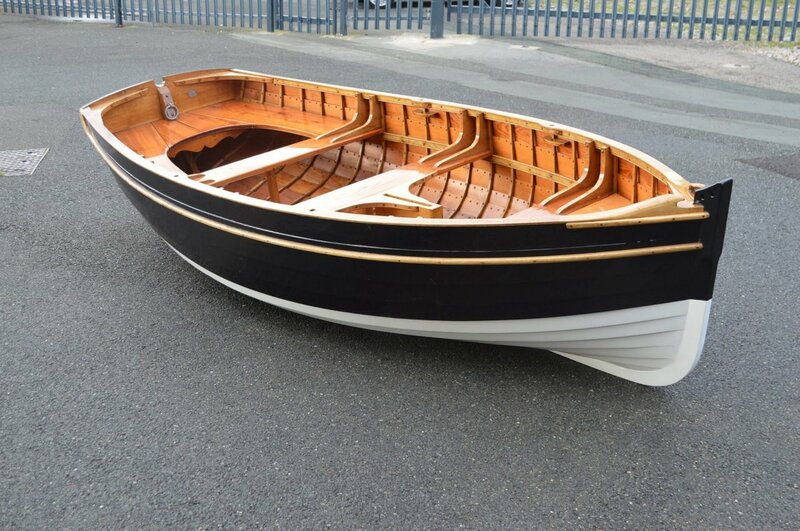 The standard finish is an oiled interior, with gloss varnish topsides, capping, gunwhales, thwarts and knees and paint below the waterline. 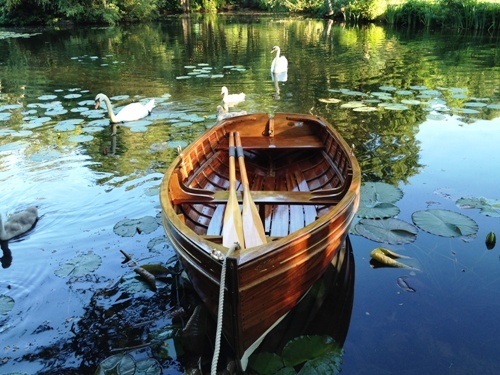 Built on the lies of the nineteenth century pilot cutters punt – Made of Larch planking on oak frames. Painted on outside and oiled and varnished on inside. Ideal for Country Manor Estates. 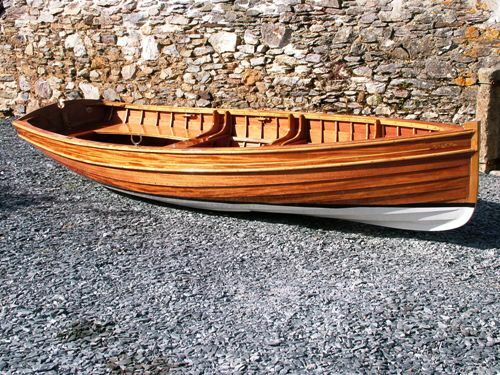 The sailing dinghies have a clipper canvas sail, three strand buff polyester rope rove through ash and bronze blocks with bronze and brass fittings including the centreplate. Finished with royal blue water line.